American Online Imports is a family owned business. American Online Imports together with our sister company Australian Online Exports, together have over 40 years experience in the automotive industry. Our team are experienced in all aspects of the building & modifying race cars. We are qualified professionals, who also happen to be very passionate about cars! Our motto is if you want it we will make it happen, we have no boundaries - this is not just business its a passion! Specialising in Importing & Exporting with no middle man! 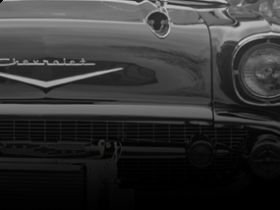 * Classic Cars - High Performance Engines & Parts. * After market Hotrod Parts - Body & Chassis Packages. 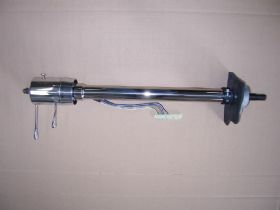 * RHD steering racks & steering columns made to order. * All orders are packed by our own staff. * We handle insurance, customs & delivery. * A fully equipped workshop & our own company engineer. 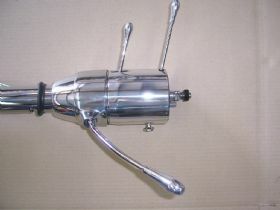 Officially released & now available for sale Tri Five ( 55,56,57) Chevy RHD rack & pinion power steering. * Straight bolt in kit with no chassis modifications. * Fits original chevy steering column. * Specify if you car is Australian delivered RHD or originally an American LHD. These kits have been engineered to meet Australian Safety Standards. 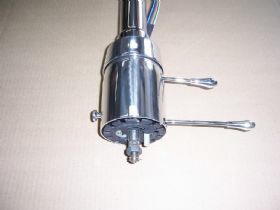 Polished pump, polished remote reservoir, polished Billet brackets to suit either small block Chevy or big block Chevy, long or short style water pump combinations, tie rod ends, column bearing, braided lines with custom fittings, powder coated bracket for rack mounting. Choice of chrome or black finish. All kits are brand new not reconditioned, with full warranty and back up service. 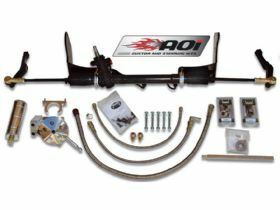 Later in the year we will have right hand-power steering rack & pinion kits for 67-69 Camaro, Mopar & Mustangs. Right Hand Drive (RHD) & Left Hand Drive (LHD) Steering Columns. Officially released & now available for sale (Brand New CNC castings). Available for RHD & LHD muscle cars, pro street classics, hot rods, trucks & motor homes. Designed & Manufactured in the USA for AOI. Straight bolt in kit with no chassis modifications. All columns are tilt & collapsible, fits all steering wheel brands (ie. billet specialties etc). Available as floor shift or column shift, suit all transmission configurations turbo 350, 400, 700 etc. Specify if you car is Australian delivered RHD or originally an American LHD. These kits have been engineered to meet Australian Safety Standards. Indicators are located on the RH side & gear selector on the LH side (column auto only). Choice of polished, primed or satin aluminium finish. Easy to read instructions for installation. All kits are brand new not reconditioned. Full warranty & back up service. Download our order form for available vehicle applications* (Adobe PDF reader required). Completed forms can be faxed or emailed to us. *Custom orders must be received by the 25th day of each month & lead time will be between 14-28 days thereafter. Quotes & requests will be processed within 24 hours.